Will Insurance Cover Any Hair Transplant Costs? Hair transplant costs are a significant factor when contemplating treatment and many people inquire whether insurance will pay for it. Unfortunately, insurance rarely covers the costs of a hair transplant. Insurance coverage for hair loss is typically limited to payment for reconstructive surgery, which may occur as a result of burns or trauma. Otherwise, hair transplants are considered a cosmetic surgery and therefore not covered. Though hair transplantation costs can add up, you should compare those costs with the long-term costs of other measures and factor in what value you place on your appearance. If you are considering a hair transplant, Dr. Robert True and Dr. Robert Dorin, board-certified hair transplantation surgeons in New York, can discuss hair transplant insurance and explain the factors involved in hair transplantation costs. The True & Dorin Medical Group provides ultra-refined surgical hair transplantation and comprehensive medical advice for treating hair loss. The extent of hair loss. Donor hair characteristics, including how thick each hair is, hair texture, and hair color as compared to skin color. Your goals for hair restoration. The type of transplant procedure and number of sessions. The surgeon’s skill and expertise. Of course, cost is not the only factor when considering hair transplant surgery. Care should be taken in selecting an experienced and board-certified surgeon with a well-run hair loss clinic.True & Dorin have more than two decades of experience and have performed hundreds of hair restoration procedures safely and successfully. At True & Dorin, fees and hair transplantation costs are based on the type and scope of the procedure. 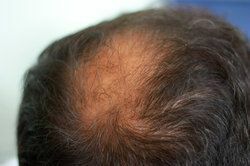 Many people undergo follicular unit transplantation (FUT), follicular unit extraction (FUE), or a combination of the two. To determine the total cost of a restoration, a personal consultation is necessary since so many factors influence treatment. True & Dorin has financing options for people who prefer to spread the cost over a longer period. All the True & Dorin clinics in Boston, New Jersey, and New Yorkaccept financing through CareCredit® and Springstone®. Schedule a consultation to find out what hair transplantation would involve for you. Discuss what your expectations are and find out how much surgery you will need. Determine what you can pay upfront. The more you can pay out of your pocket, the less you will have to finance, saving you money in the long run. Find out what financing options are available and compare the costs. Find out the costs of putting the treatment on your charge card. Shop around for credit card promotions and consider the benefits of using a card with a customer rewards program. We recommend scheduling a consultation to go over your expectations and determine the cost of transplantation by a highly qualified hair restoration surgeon. A personal consultation is essential for diagnosing your hair loss and designing a treatment plan targeting the results you want. Please call for an appointment.